In a potential boost for competitive transmission developers, the U.S. Justice Department said Friday that a Minnesota law granting in-state transmission owners a right of first refusal (ROFR) on grid additions is unconstitutional. The department filed a “Statement of Interest” with the U.S. District Court of Minnesota, supporting a challenge filed in September by LSP Transmission Holdings over a ROFR law approved by Minnesota lawmakers in 2012 (17-cv-04490). The law gives incumbent TOs a ROFR to build new high-voltage transmission lines that connect to their facilities, effectively preventing new entrants without a physical presence in Minnesota from competing. “The United States believes that a state law which grants local electricity monopolists the right to obtain new monopolies in transmission projects in interstate commerce, and thereby block entry by potentially out-of-state competitors, unconstitutionally regulates interstate commerce in violation of the dormant Commerce Clause,” Justice Department lawyers wrote. The Commerce Clause of the Constitution gives Congress the power to regulate interstate commerce. The idea of the “dormant” clause is that it prohibits states from doing the same. The state law “fails both the antidiscrimination test and the undue burden test because it raises entry barriers, segments the interstate market in developing transmission lines, favors in-state incumbents and causes substantial anticompetitive effects in interstate commerce,” the department continued. 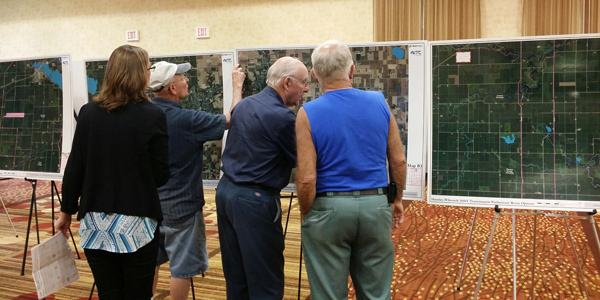 Xcel Energy’s Northern States Power and ITC Midwestern Holdings, which were awarded rights by MISO to build the 40-mile Huntley-Wilmarth 345-kV line because of the state ROFR, have joined the state in asking for dismissal of the suit. “ITC continues to support what’s in the best interest of customers as it relates to modernizing a state’s electric transmission infrastructure,” ITC spokesperson Liz Hunt said in response to the Justice Department filing. “ITC is supportive of ROFR in states where there has been a track record of success of transmission and investment by the local or incumbent utilities.” Xcel had no immediate comment. 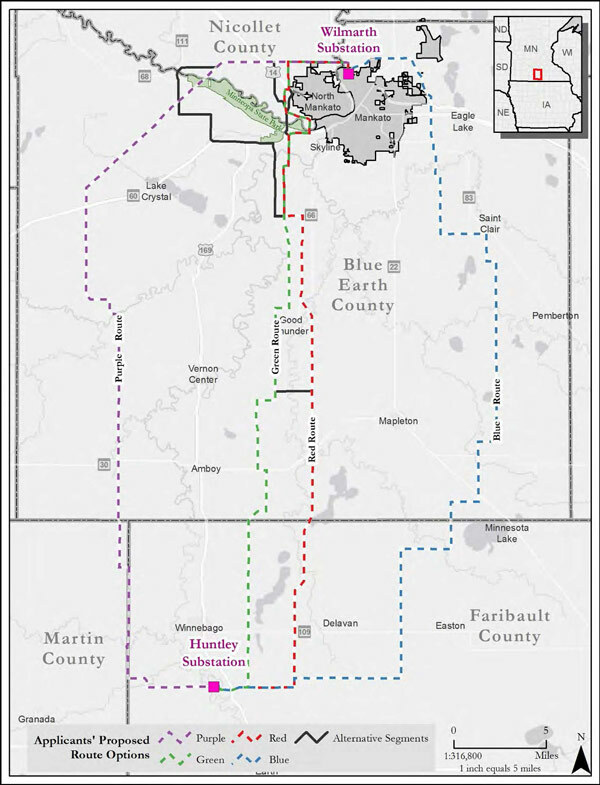 The project, estimated at $108 million, will connect Xcel’s existing Wilmarth substation north of Mankato, Minn., and a proposed Huntley substation south of Winnebago, Minn., that will be owned by ITC. Although the new line is a market efficiency project — a category eligible for competition — MISO declined to open it to competition because of the Minnesota law, a decision backed by FERC. The Justice Department disagreed. “All FERC found was that ‘it is appropriate for MISO to recognize state or local laws or regulations as a threshold matter in the regional transmission planning process,’” the department said. “In doing so, FERC simply recognized that requiring FERC-regulated entities to ignore state rights of first refusal would waste time and resources, as the entities’ decision-making process ultimately could be overruled by the state’s right of first refusal,” the Justice Department said. Sharon Segner, vice president of LS Power Development, who testified against the ROFR bill in a legislative hearing, said her company’s challenge is the first against such state rules. LS Power also has identified ROFRs in North Dakota, South Dakota and Indiana. The Supreme Court said it would not hear a challenge seeking to reinstate the federal right of first refusal in transmission construction, letting an appellate ruling sustaining FERC Order 1000 stand. D.C. Circuit Court of Appeals appeared sympathetic to FERC’s request to dismiss a challenge to its ruling on SPP’s Order 1000 rules, questioning the standing of the plaintiffs.